GUELPH, Ontario – The Da Vinci Program is launching its annual end-of-semester art exhibition and community celebration. The Da Vinci Community and Environmental Leadership Program is a unique, four-credit-interdisciplinary program that explores art and science through hands-on, experiential learning at the J.C. Taylor Nature Centre in the arboretum at the University of Guelph. The festive launch will take place at Guelph’s 10C on Friday February 1, beginning at 6 pm, and will continue to be displayed until the end of the day on Saturday, February 2. 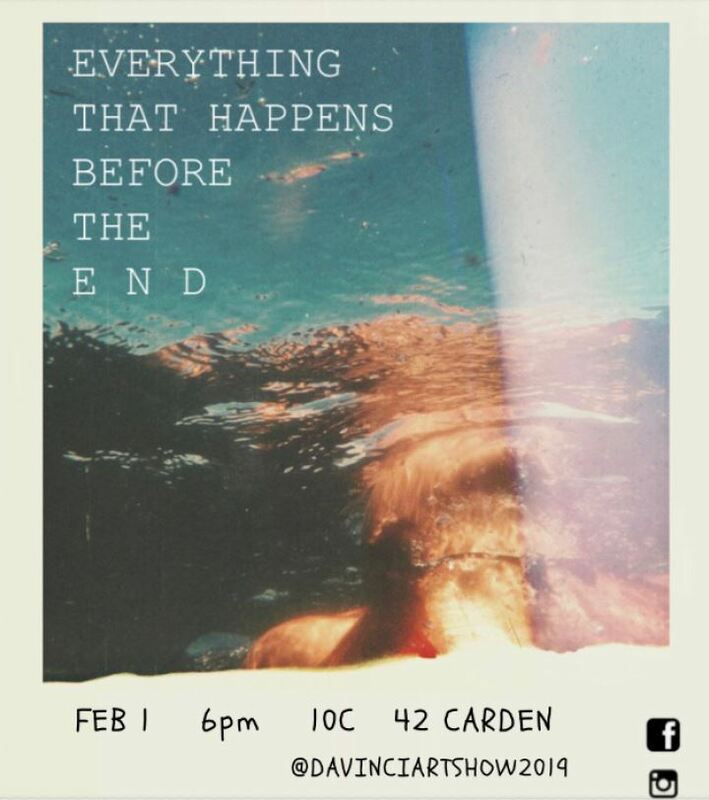 This year’s exhibition, entitled “​Everything That Happens Before the End,​” explores both the harsh and beautiful realities of life – breaking and rebuilding, ending and beginning – expressing ideas of final destinations and the journeys that precede them. Half of the proceeds of the silent auction will go toward supporting the local charity, Guelph-Wellington Women in Crisis. This year’s show includes a variety of artistic mediums: photography, painting, collage, video, music, sound art, sculpture, live performances, and more. 10C is located at 42 Carden St. Guelph. Admission is free. For details about the show visit the Facebook or Instagram page.